It was my dad's suggestion to check out the Chinatown in Paris. He found out the metro station was Olympiades. As we came out from the station, er.... we didn't know where we were, streets were looking quiet. Then we saw a chinese guy carrying some shopping, walking from a street, heading towards us to the metro station. So we thought "ah! There must be a chinese supermarket nearby! Let's walk down the street where he was coming from!" How clever we were! 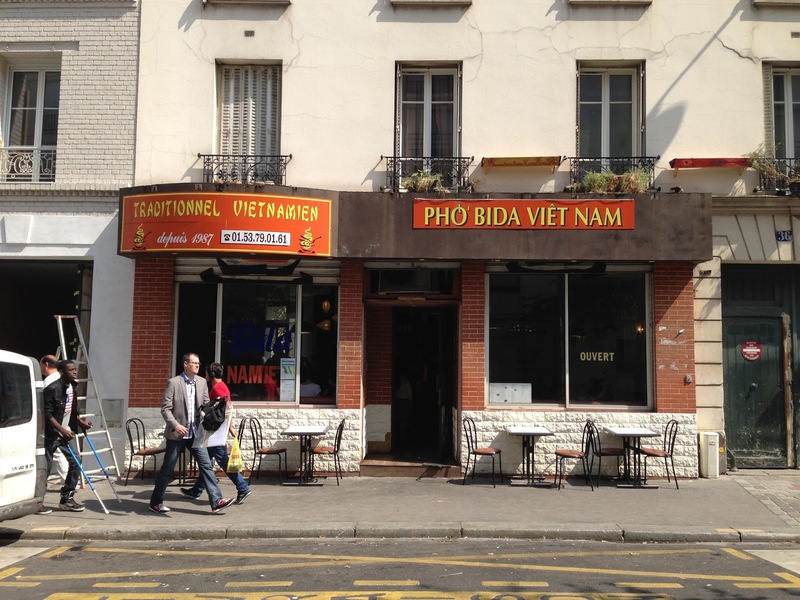 Because that street was Rue Nationale, and as we walking along, we saw Pho Bida Vietnamese. We got there at around 1pm on a Monday. It was a lunch noodle bar rather than a proper restaurant. The lunch service was very busy, and that we had a glance at other people's dishes and they all looked amazing! Menu were in both French and English so we didn't have to guess the dishes.I ordered Bun Xa - Warm noodles with fried beef, spring roll, lemongrass, beansprout served with a sweet chilli vinaigrette. 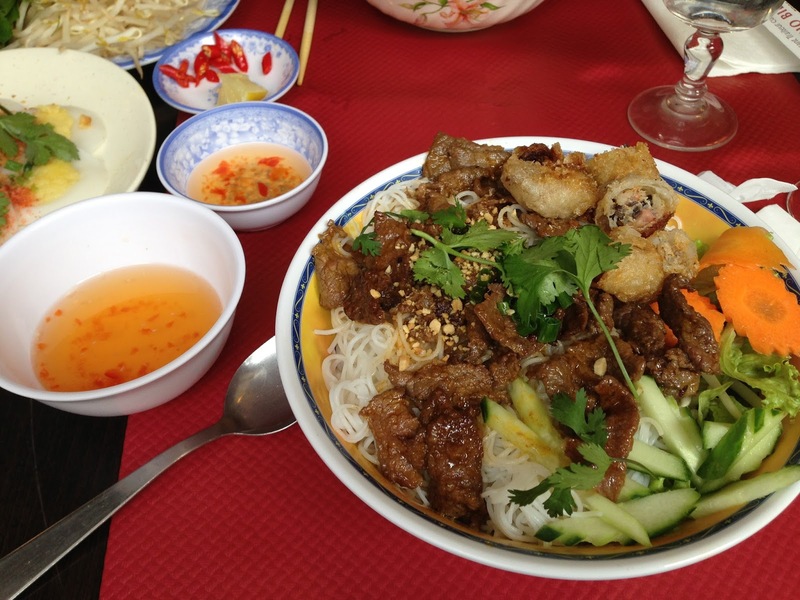 Big portion, noodles were al-dante, loads of beef, and crispy spring roll. The vinaigrette had a little kick with the chillies but not too much. The flavour was so perfect! This is my comfort bowl - this is food that I can have at any time of the day. A nice lunch or a simple dinner. Love love love! !